PowerPointsManager or PPM is a state of the art Points Manager which can be used for any number of games including rFactor. The points manager has an extensive Admin Panel where results can be uploaded, drivers can be edited or created, unlimited series and seasons can be added and a champion can be crowned for every season. Custom points can be made for every series and you can even implement your own custom chase for the cup. Along with many many more features. PPM also includes an elaborate stats page for each and every user. Through the homepage which is free for all to see and use, you can view the results and standings from each of the registered leagues, you can view the rankings for several categories to see which drivers are the best. PPM also includes Incident tracking! Similar to Iracing, PPM uses the IncidentRating and RacerRating track the progress of each racer. This enables league owners and other drivers to see what kind of competition they are racing with and where they shake up. Many more features are being added daily. Beta testing is currently in progress until July 1st when all records will be wiped out and the real deal will begin! 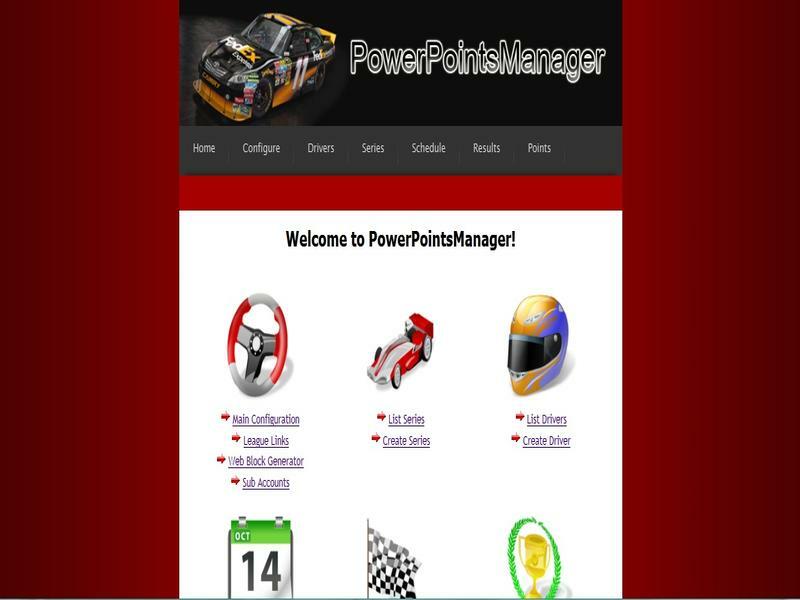 Visit us @ powerpointsmanager.com to sign up and dont hesitate to post your ideas or comments in our forums!